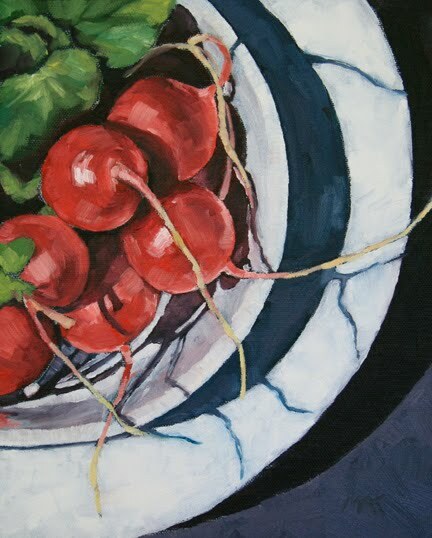 I have always admired other painters versions of radishes. I always wanted to try a painting of these colorful veggies, and here it is! Wondeful composition and I love the blue shadows, nice job!